WASHINGTON (Dec. 6, 2016) -The National Association of Black Journalists (NABJ) congratulates member Claire Smith for being named the recipient of the 2017 J.G. Taylor Spink Award. The award is given out annually by the Baseball Hall of Fame to a journalist for “meritorious contributions to baseball writing.” Smith will be the first woman in the award’s 55-year history to receive this top honor. "On behalf of the entire NABJ family, I congratulate my dear friend Claire for this tremendous honor. She is such an inspiration as she continues to knock down doors for women in sports journalism. She is to be commended not only for being a talented reporter, but also for being steadfast in fighting for equality and paving a way for those who will follow in her footsteps," said NABJ President Sarah Glover. Smith, 62, has written about sports for more than 30 years, for publications including the Philadelphia Bulletin, Hartford Courant, New York Times, and Philadelphia Inquirer. For more than 20 years, her beat was Major League Baseball. In July 2007, she went in a new direction and new industry when she joined ESPN as a news editor, working with the production teams on MLB game broadcasts. She is the author of the autobiography "Don Baylor - Nothing But The Truth: A Baseball Life." A trailblazer for women in sports media, Smith has fought for equal access during her entire career. She often refers to a defining moment that came in the 1984 National League Championship Series between the Chicago Cubs and San Diego Padres. She was physically removed by players from the Padres clubhouse after Game One. While the situation was eventually resolved, thanks to then-Baseball Commissioner Peter Ueberroth, it left scars for a number of years. Former MLB Commissioner Bowie Kuhn, who once fought to keep women sports writers out of major league clubhouses, later called Smith "the best baseball writer in America." "Congratulations to Claire Smith, a pioneer not only for women and blacks in baseball, but in sports period. 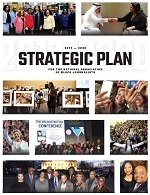 Thank you for the role model that you have been," said NABJ Sports Task Force Chair Marc Spears. "I'm sure Larry Whiteside is up in heaven clapping and smiling for you." The Associated Press reported that Smith was given a standing ovation when her election was announced today at a Baseball Writers’ Association of America meeting. She asked the other half dozen women in the room to stand alongside her as she spoke. 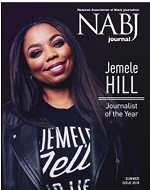 NABJ congratulates Smith on this most deserved honor.